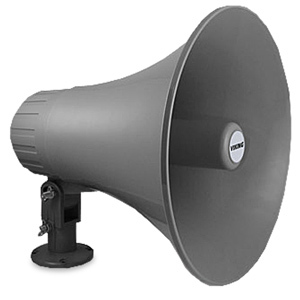 The 300AE paging horn provides a direct voice coil connection for use with Viking 8 ohm paging systems. 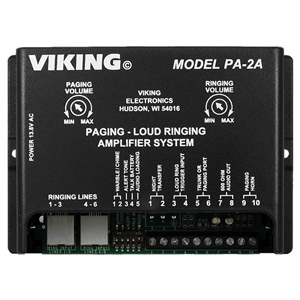 The 300AE paging horn also provides a built-in step-down transformer for use with 25V or 70V paging systems such as Viking models PA-30 and PA-60. 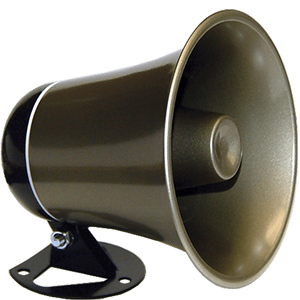 The transformer has a range of power taps that are selectable with a 6 position rotary switch.